The moulded plastic seat is shaped for the comfort and convenience of users and is fitted with a lap strap to give added security. The supporting stainless steel bars are powder coated to give a uniform finish and are fitted with supporting chains to be attached to the hanger bar on the lift. The Rover Transporter especially designed for use with the moulded seat is compatible with the manual EZ2 and the battery-assisted Power EZ2 Pool Lifts. 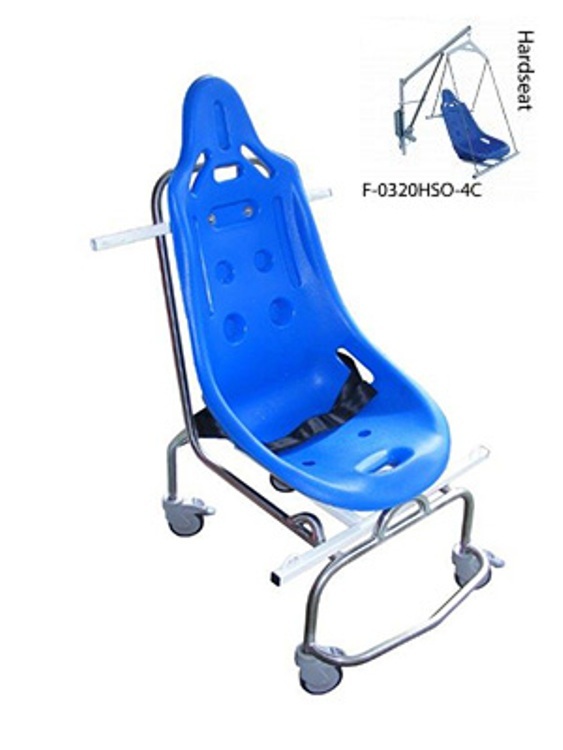 For convenience, comfort, and safety the Rover Transporter holds the moulded seat enabling the user to be moved from the changing area directly to the poolside and onto the lift. The Seat with the user is lowered into the water leaving the Rover Transporter on the poolside.